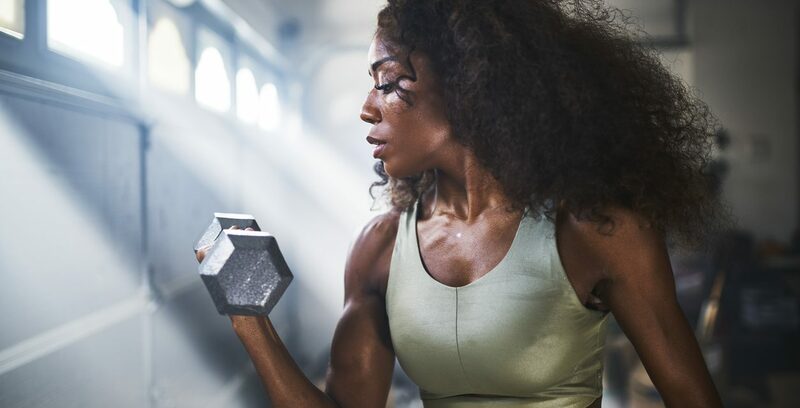 Unless you’ve been living under a rock for the last few years, you likely know by now that lifting weights and building muscle isn’t just for meat-headed guys. Because after decades of fitness “gurus” telling women that the key to a great body is spending hours and hours on the treadmill, most of us have finally gotten the message – rather than making us big and “bulky”, lifting weights is hands down one of the BEST ways for women to develop better health, longevity and, yes, a lean and toned physique. But while that may be obvious to most women, what’s not so obvious is HOW to build a workout plan to get the body you want. And for good reason. 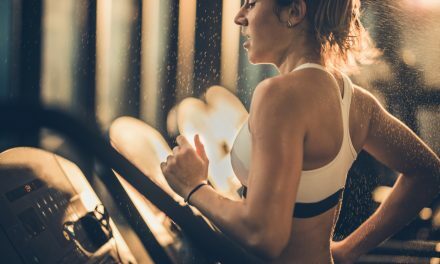 Go run a simple google search for “best workouts for women”, and you’re likely to come across thousands and thousands of articles (often with conflicting advice). While it’s true that the list of workouts could fill an entire book, learning about all of them is really not necessary. You don’t need to know every different workout plan ever created in order to build a great body – you just need to know the basics. And in this article, we’re going to be covering two of the most basic workout categories you need to know about – split training vs full body training. What Is “Full Body Training”? Full body training is fairly self-explanatory. It involves training ALL the muscles in your body during a single workout. This is usually accomplished with “compound exercises”, movements that work multiple muscle groups simultaneously (common examples include squats, deadlifts and presses). Split training, on the other hand, involves breaking your workout up and training different muscle groups throughout the week. A common example of a split routine would be to train your chest and shoulders on Monday, your legs and glutes on Wednesday, your back on Friday, and your arms on Saturday. Split training usually involves a combination of compound exercises, as well as “isolation movements” that work specific muscles (think bicep curls, hamstring curls and calf raises). This method of strength training has long been favored by athletes for its ability to generate strength and power. But what many don’t realize is that training this way also has a lot of benefits for the average woman who’s just trying to look and feel better. There’s really no two ways around it – if you’re doing split training, you’re going to be spending more time working out, since splits will almost always involve performing more exercises. With full body training, you get many (though not all) of the benefits of split training in less time. Not only can you get away with fewer workouts per week, but you can train your entire body with just a few exercises. While split routines do use some compound movements, full body workouts are great because they really put most of the focus of your workout on them. There are a number of reasons compound training is something you should focus on, but one of the big ones is the hormonal response, with research showing that they’re more effective at generating human growth hormone (one of the keys to building new muscle). The last advantage that full body training has is its ability to promote functional, real-world strength. For an example of how this works, take the deadlift. Not only does deadlifting recruit almost every single muscle in the body, but it also mimics a fundamental human movement pattern (i.e. picking something heavy up off the ground). And remember, functional strength isn’t just for big burly guys. Studies have repeatedly shown that strong individuals with more muscle age better and live longer lives (and no ladies, getting stronger and doing “guy” exercises does NOT equal getting “bulky”). While full body training is certainly an effective and efficient way to train, split training definitely has its advantages as well. One of the downsides of training full body workouts exclusively is that it can lead to muscle imbalances and asymmetries that can cause injury and dysfunction. Let’s take a movement like the squat for example. Squatting is a phenomenal lower body movement that will work your thighs, hamstrings, glutes and…well, pretty much everything south of your bellybutton. The problem with movements like these are that most of us tend to “favor” certain muscles over others, and many women find that their thighs tends to “take over” and do most of the work during a squat, while their glutes are left slacking off (weak glutes are a major contributor to lower back pain). Split training gets around this problem by making sure that each individual muscle gets the attention it needs to develop (and function) properly. Along with preventing (and correcting) muscle imbalances, split training is also great because it allows you to target specific muscles, which will allow you to better “customize” your body. Think of your lower body – unless you’re genetically gifted, most woman would like to have slightly more mass on their glutes than their thighs. Unfortunately, squatting, as we mentioned, can often put more emphasis on the legs than we’d like. Split training is great for balancing this out, since you can directly target the glutes with exercises like barbell hip thrusts, lunges, and Bulgarian split squats. We already talked about compound movements, and the hormonal response involved. While this is fantastic for stimulating growth hormone and building overall muscle, it’s also harder to recover from. Split training, on the other hand, is easier to recover from, and will allow you to spend more time working out (some women simply find that they respond better to more frequent workouts). As you can see, both full body and split training routines have their pros and cons. And while you may find that one simply works better for you than the other, our recommendation for the average woman is simple – combine the two. There are a number of different ways you can do this, but an easy template to follow is this – perform one full body workout early in the week, followed by two split workouts (upper body and lower body). Here’s a sample routine to get you started.